How to break into a gun safe? It is quite a common occurrence to be in situations where one has either forgotten the combinations to ones safe, the locking system has failed, mechanical trouble has set in the lock or the biometrics are not working. All these are outcomes of one common scenario – the safe simply refuses to open. Those who have faced such grim realities know firsthand how painful the experience can be. Here we try to take a step by step journey into breaking a gun safe. Most of the popular and widely used safes operate with the combination lock and is one of the classic gun safes all over the world. The longevity of these types of safes is beyond compare even though they take more time on opening as compared to the other types. It is quite common for safe owners to sometimes forget the combination which they had set for opening the safe. In such a case opening the safe by force shall cause irreparable damage to the safe while going for a professional is sure to pinch ones pocket. The combination lock looks circular with a rotatable dial from the outside. Numbers are usually written over the circumference. The only way to open the safe is to enter the right combination of numbers or to break it open, which actually is very impossible to do. There is a mini cylinder fitted to its combination dial. The moment the dial is rotated the spindle also gets rotated automatically. The spindle incidentally is not properly visible even in circumstances when the safe has been opened. Situated at the end of spindle is a circular object which is threaded to the spindle. Now, as the spindle rotates the drive cam also rotates. From the drive cam there is the drive pin which is almost an extension of drive cam and its purpose is to catch the wheels and set it in a rotatory motion. There are circular objects called tumblers which enclose the spindle without getting attached to it. The drive pin needs to capture it for its rotatory motion. Every combination lock comes with a single wheel associated with it for every digit in the combination (generally 2 to 6). For example a three number combination lock (say 16-9-21) shall have three wheels. The small tabs over the wheel known as the wheel fly which catch the next wheel or drive pin and sets both in the rotatory motion. In brief, the wheels start rotating after the drive cam makes contact with them. Along every wheels circumference there is a notch or gate. During the rotatory motion of each wheel when this notch is on the top, the fence tends to fall over the notches. In turn the lever shifts and the door opens. When one dials the 1st number, the 1st wheel is rotated to the position where the notch rests just below its fence. One then reverses this direction of rotation to let go of that particular wheel and turn the subsequent to its appropriate position. It is thus obvious that there is one wheel for each combination number. Similarly, drive cam comes with a notch that shall click each time it goes past lever. The following steps are essential and should be followed closely for figuring out the correct way to ‘park’ the dials in your safe before cracking the code. This resets the clock which ensures that each wheel is disconnected. This simple trick is used to amplify the sound which one hears from inside. The mechanism one listens to is actually located just behind the dial. However it is not possible covering the as one needs to turn the dial. Try to move the stethoscope at different locations close to the dial while you rotate the combination till you find the most audible point. Rotate the dialslowly and note the positions. One click would be fainter as compared to the other. You are actually listening to the sound which the drive cam notch makes while sliding below the lever arm. Every side of this notch shall click as the lever passes over. Between these two clicks lies the drive cam’s contact area which is actually the part over the dial face between the clicks. Gradually rotate the dial multiple times clockwise and listen again while slowly turning it counterclockwise. The clicks may be faint, so carry out the process a couple of times and confirm the pattern of 2 nearby clicks in a localized area of the dial. The moment, the contact area is found for 2 clicks, rotate the dial diametrically opposite to it. Once the wheels have been placed at this location, you can count the ticks while you hear them when rotating the dial. This is known as parking the wheels. If the number of clicks is heard even if the dial is not at the right position, it could be a resulting factor from a faulty step by you while you were ‘parking’ the dials. Restarting the whole operation from the start will be a good idea. But bear this in mind, resetting the dials is crucial and the same can be achieved by giving the dials a spin or two more than required. If the problem persists then the safe could be equipped with anti-crack mechanism and for accessing the contents of your safe you just might have to call a locksmith. As soon as the dial makes past the ‘parking’ point & hear no extra ‘clicks’, keeping a track of the times the of clicking sounds is heard is crucial. The number of clicks gives you the exact number of times the wheels inside the locking mechanism of the safe. As you have been keeping a track of the number of wheels, therefore the each digit in the combination corresponds to an individual wheel. This whole scenario gives you the exact figure of numbers that one needs to enter in the form of the combination. This is the trickiest section and involves a lot of trial and errors. Intricate knowledge of mathematics also comes in handy. Keeping track of the data you put into the safe is crucial if you want to crack the pass code. A line graph makes the job easy and also aids in providing you with the required data by the help of the shape of itself. The x-axis of the graph should start off from 0 that represents the highest or the starting point of its dial face. The y-axis should read till the number 5. The resetting of the locking mechanism of any safe is simple. This can be done by simply rotating the dial to the clockwise direction. This disengages the wheels of the lock and follows up on the process by setting the same in ‘zero’. Keep your ears open and listen to the safe as you rotate the dial of the safe in the counterclockwise direction. When you hear successive clicking sounds as you turn the wheel, note down the position of the wheel. Plotting the data on the chart would enable you to come at definitive conclusions. The same conclusions could for entering into the safe as possible combinations. The lock should be reset and spin the same on the clockwise direction. Keep in mind the position should be the third from the last number i.e. 0 which is the new entry for your x axis. Plotting X=0 at the x axis is crucial. This denotes the starting point of the dial or in other words the ‘contract point’ of the same. Similarly the y-axis holds the value of the number of clicks one hears while making the adjustments. There should be enough room left in the same for plotting out a minimum of 5 values that you will be recording on both sides of the y-axis. The lock of the safe should be reset and should be ‘parked’ in a position that is 3 spaces anti-clockwise of the number 0. To reset the lock mechanism, the dials should again be rotated clockwise to the right of the number 0. The new figure that comes up in the overall calculations is the next value for your variable in the x axis. The location of the ‘clicks’ should noted and plotted on the y-axis and compared to the previous position of the point. Now, if the previous and current positions of the ‘clicks’ are near each other, then consider you are on the right track. After the second location’s position is recorded, the lock should be reset by rotating the dial counterclockwise. The line graphs should be updated as long as the testing procedures are continued. The tests can be stopped as soon as the entire dial of the locking mechanism is mapped in to the graph up to the zero position. The left and right’s values difference of the points on the y-axis will be smaller in some of the cases. Now, if we lay the two graphs on top of one another, then it could easily be seen that the points on each of the axes, represents a number that can be used as an element in your combination. If all of the above steps are closely followed by you, then you’d be accessing the contents of your safe in no time. Trying out with every possible combination that you ended up with in your graph plotting session is the way to do it. All the while, don’t forget to check and try to open the door of the safe. Make sure you don’t move to the next combination without checking that oif the door is accessible or not. One should always reset the dials of the lock mechanism, especially after every time you put in a combination for the safe. Trying out codes for the combination should be accompanied with the crossing out of the already attempted combinations as you proceed. Some cheaper models of safe available on the market even allow access to itself if there is a minimal margin of any error in the code. If this is the case with your safe, then you could have it no time. If it is a more expensive model, then the marginal error is nullified. Therefore the exact combination becomes a necessity. All in all, cracking a safe is a testing feat that indeed takes a toll on the minds of an individual. Keeping your head cool and a calm mind is essential if you want to crack the safe yourself, else, it’s time to call Mr. Lockmith! 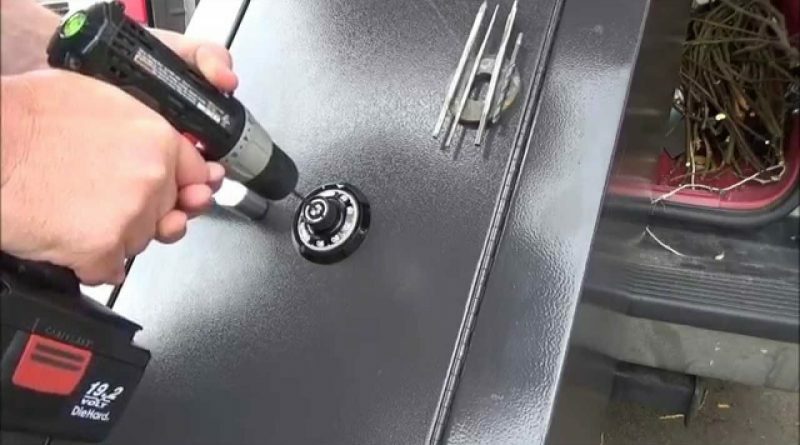 ← How to open a gun safe?